Graham Edwards sheep and pig livestock trailers are ideal for transporting sheep, pigs and other small livestock. This cost effective little trailer is available in 6 foot and 7 foot versions and features an alloy floor and loading gates. 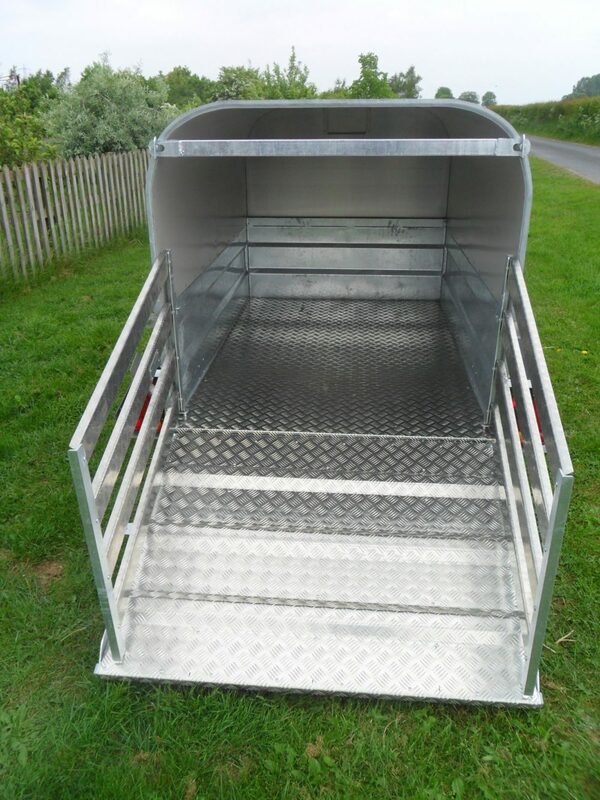 They are very handy little trailer to have around if you move livestock regularly. 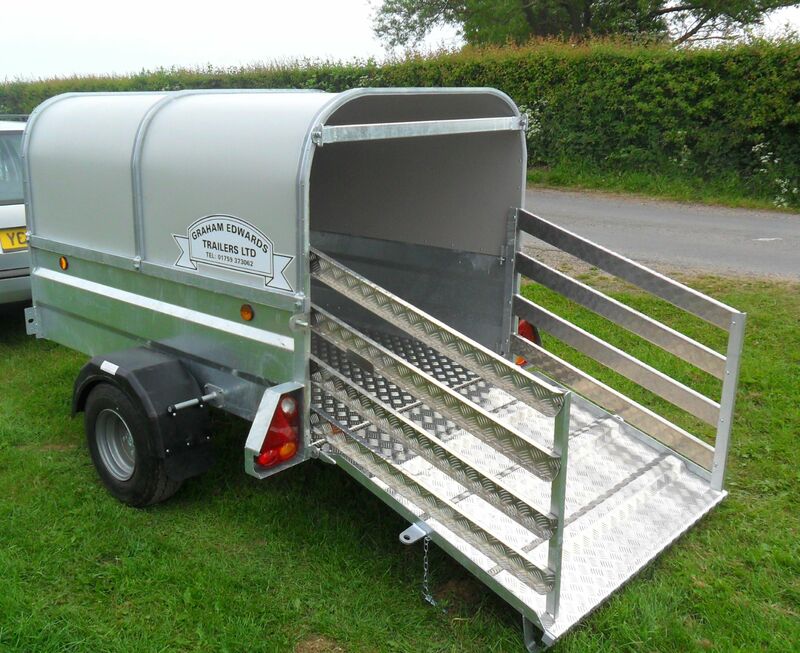 The sheep and pig livestock is an unbraked trailer with a gross load of 750 kg and is an excellent choice for professional farmers and for show usage. 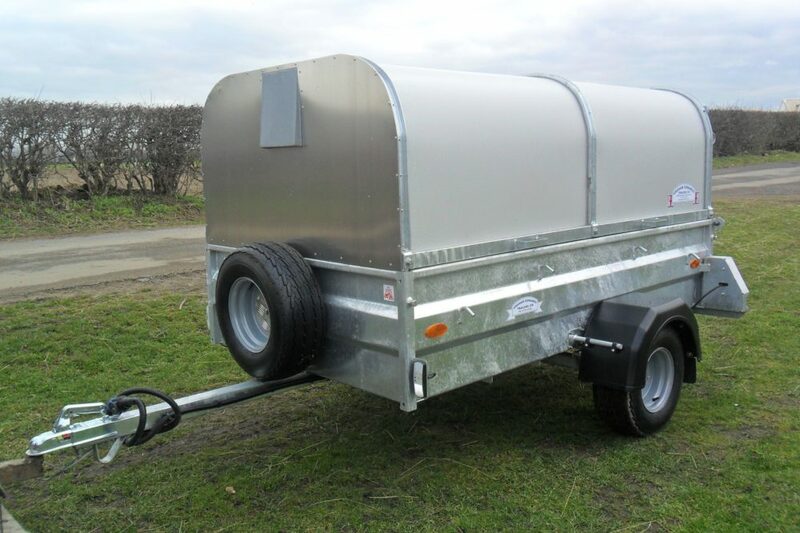 With a low unladen weight this trailer is extremely flexible, it is easy to move around and can be towed comfortably behind small domestic cars. If you require a higher payload please look at our livestock kit for twin axle braked general purpose trailers. ​Our Sheep and Pig Livestock Trailers are built with toughness and durability in mind, they are built to work and to be cost effective over their operational lifetime. With a removable sheep and pig roof you get the reliability and flexibility of the general purpose (GP) trailer and a small livestock trailer within one simple budget operation. Rubber torsion bar suspension for a smooth maintenance-free ride. Detachable canopy with a fixed front vent. Fully approved lighting systems with double sealed loom connections. Rigid steel welded framework construction. Hot dip galvanized after fabrication.